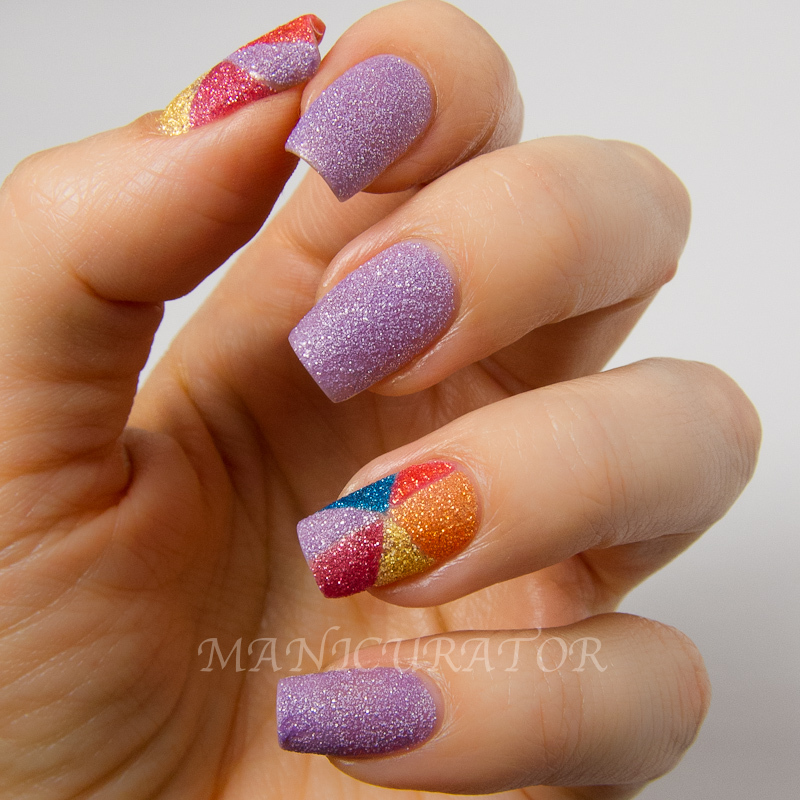 And now onto the ridiculously gorgeous sparkly sugary goodness that is Summer 2013 PixieDust. 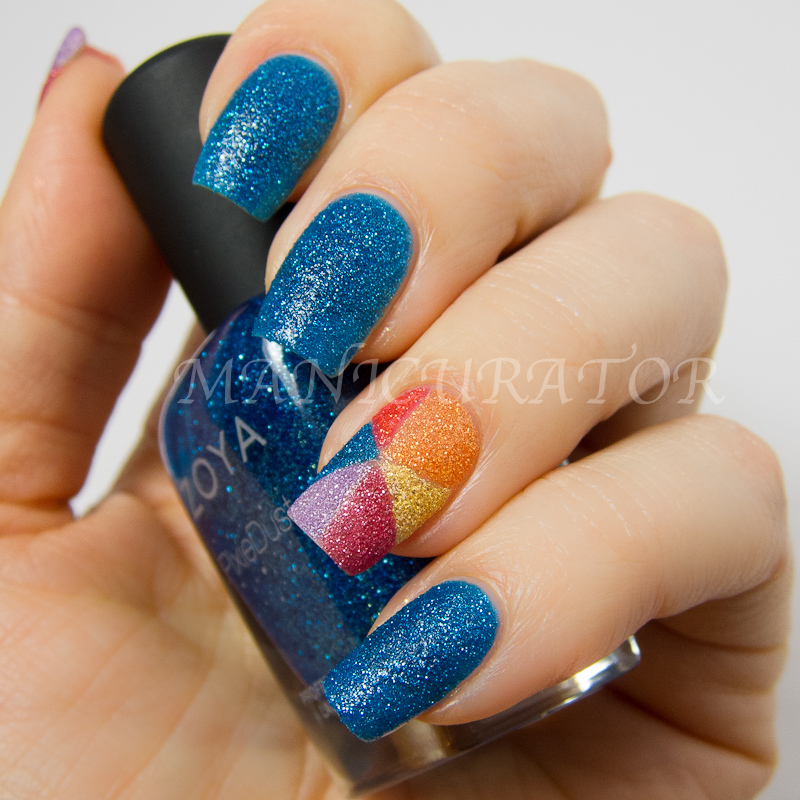 All of my swatches are without base coat or top coat like Zoya recommends, except Liberty, the dark blue. I was afraid of staining so I used a base coat, with no ill effect. 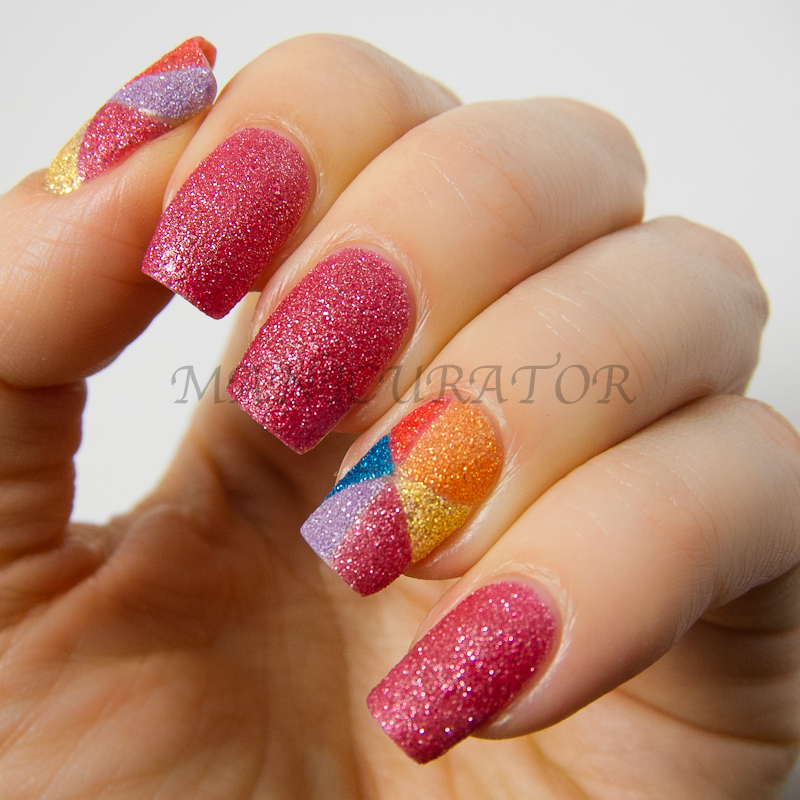 All swatches, including the pinwheel nail art are 2 coats. The formula for all of these is fantastic. Easy application and great coverage with only 2 coats. This is Zoya Stevie a cool, neutral violet. It was the first one I reached for and HAD to stop swatching and wear it out before I took it off. I can't say enough. It is sooo pretty! 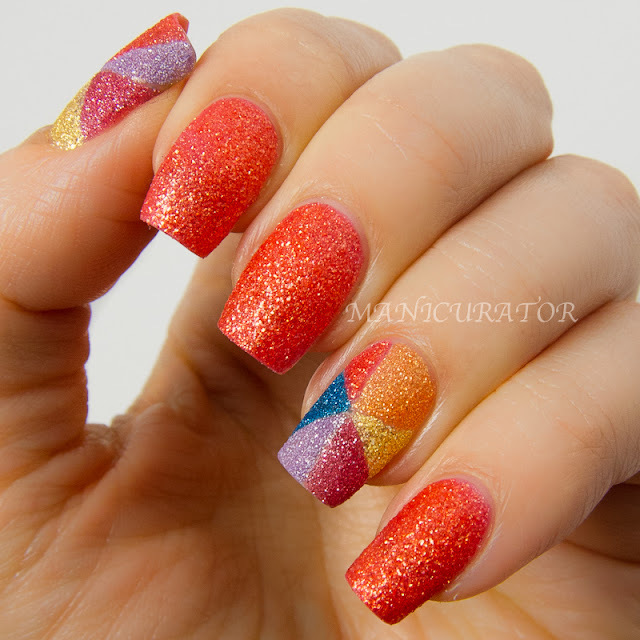 Zoya Destiny is a red coral. Absolutely perfect for Summer. A must for poolside toes if you ask me. Zoya Miranda is a rose pink. I'm just going to keep gushing. I love her. I could wear her over and over and not get bored. 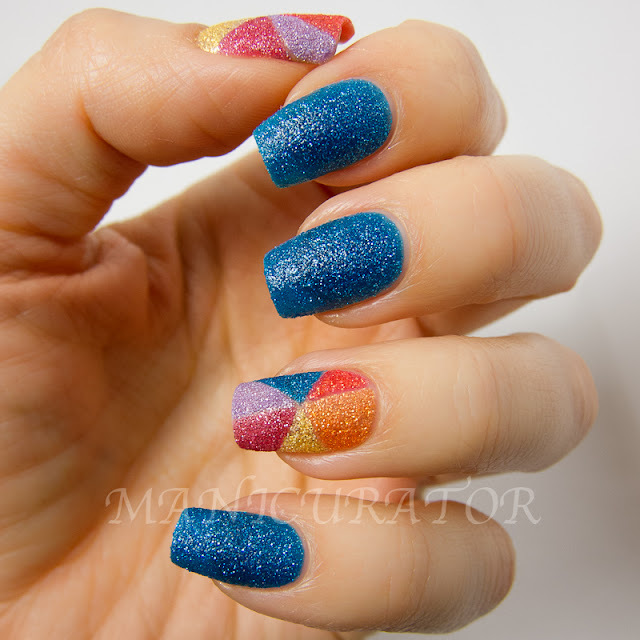 Zoya Solange. 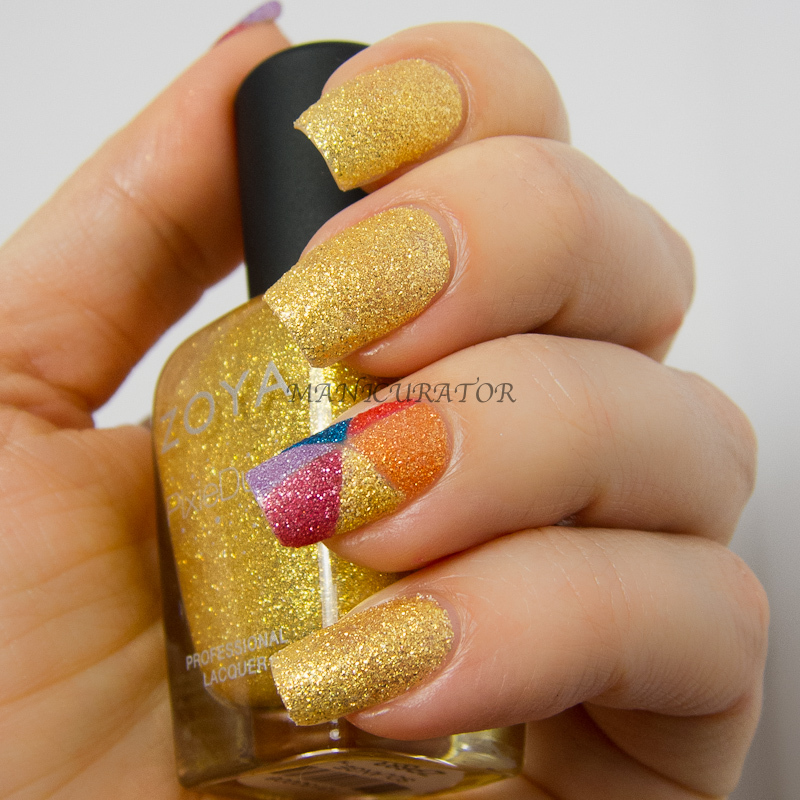 There is an exclusive Zoya gold pigment in this and it shines like no other golden yellow. It feels like sunshine in a bottle. Am I corny? 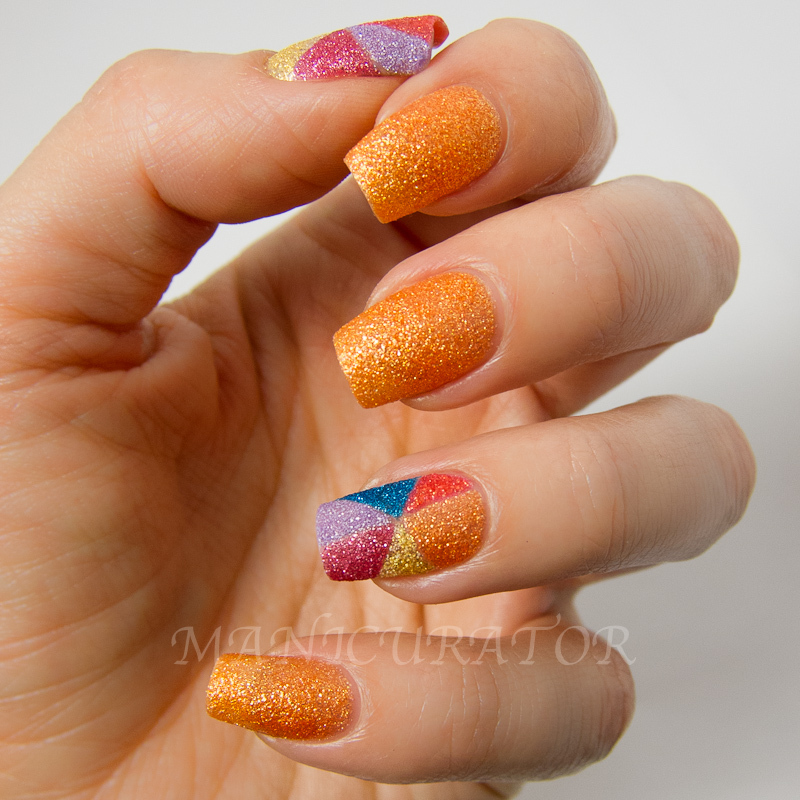 If you like gold/yellow this one is a must!! 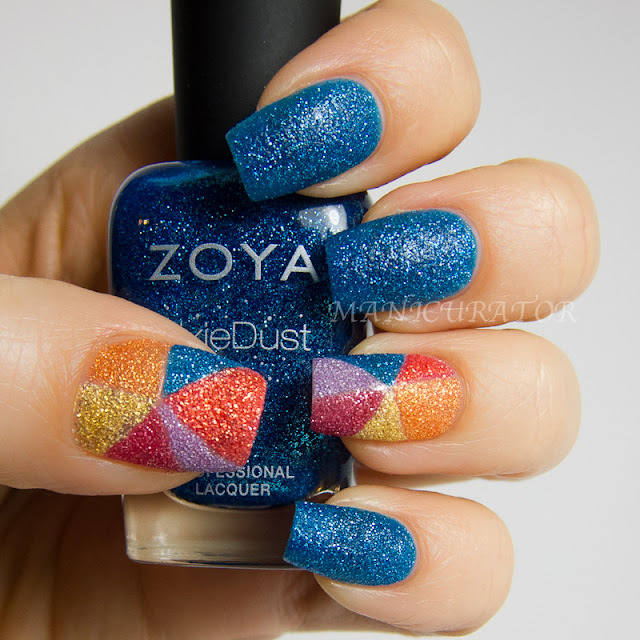 Zoya Liberty is blue PixieDust! Zoya describes it as "blue" hahaha. Yes, it's blue alright!! It reminds me of deep ocean blue. I was afraid of staining so I used a base coat for this swatch. When I removed there was a strong blue residue, which disappeared when I went over it with remover again. So my experience with this shade did not cause staining. 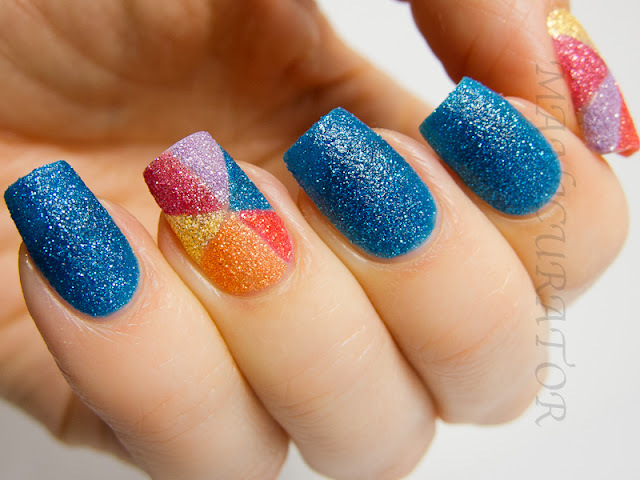 Amei os esmaltes, quero MEEEEEEESMO! Ficou hum show, adorei a driatividade! Ugh your swatches make me want to buy these and I already have them. That makes no sense hahaha that's what your swatches do to me! I won a winter set about a month ago and I just love them! I have a hard time removing the glitter though. Is there a specific remover you use? Do you have the other summer polishes from Zoya? 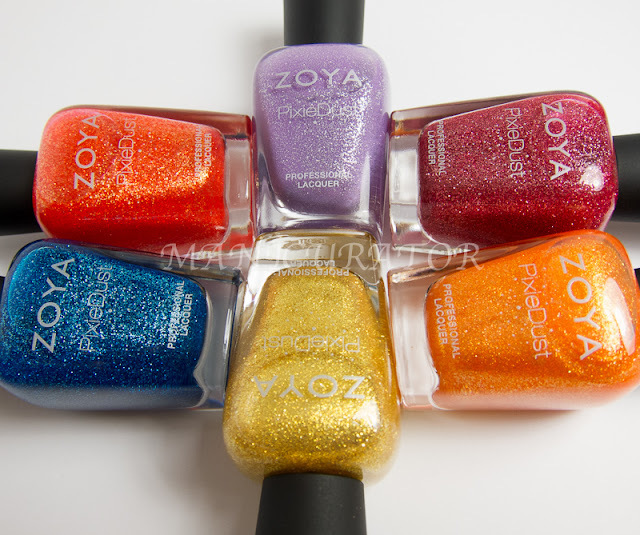 I am very curious to see the creme vs. the shimmer/metallic vs. the Pixie Dust in the same color.